WASHINGTON CITY – The Washington City Council adopted an active transportation plan Wednesday that aims to create a much more pedestrian- and bicycle-friendly infrastructure across the city over the next 20 years. 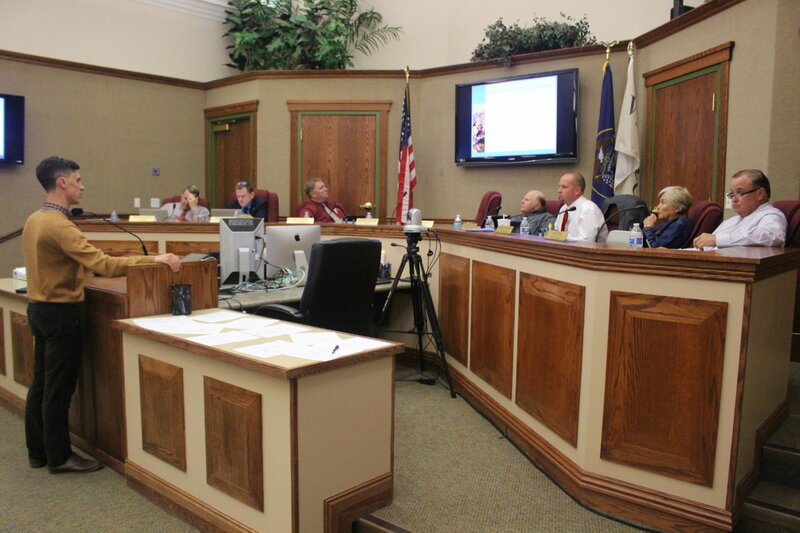 The City Council was given a preview of the plan during an August work meeting and was given a review prior to its adoption Wednesday night. Active transportation is defined as human-powered transportation, such as walking and biking. Advocates routinely cite the economical, environmental and health-promoting benefits of active transportation. Due to the movement’s growing popularity many cities have taken to adopting active transportation plans. Tim Miller, of Alta Planning and Design, said nearly 7 percent of Washington City residents walk or bike to their destinations. The remaining 93 percent use a car, with 36 percent of all trips by foot, bike and car being 2 miles or less. Washington City has 94.5 miles of combined paved and unpaved trails and shared roadways. Future planning recommendations would offer an interconnected system of a combined 224 miles. Currently 90 percent of the city’s road miles are considered comfortable for bicycle use, Millar said. However, he added, those miles are not as connected as bicycle riders would like. One of the main priorities of the city’s active transpiration plan is to provide better connectivity for bike routes within the city along with the infrastructure to support it. Nearly 600 city residents responded to a survey related to the plan, Millar said. Those respondents said major barriers to their cycling in the city are related to insufficient or unsafe shoulders and cycling facilities, aggressive drivers and unsafe intersections. Pedestrians who walk expressed similar concerns, though the majority surveyed said they feel safe when walking in Washington City. In addition to better connectivity would come safer infrastructure that would create what Millar called “high comfort” facilities for cyclists. These are bike paths that most people would feel comfortable riding on with their families as such paths help cut down on worries cyclists might otherwise have while out riding. Separated bike lanes – lanes separated from the road by physical barriers. Buffered bike lanes – bike lanes on the side of the roadway that are noted by lines painted on the road marking a space between vehicle traffic and the bike lane. Shared-use paths – paths used by cyclists and pedestrians. Bicycle boulevards – roads that have been entirely dedicated to pedestrian and bicycle traffic. 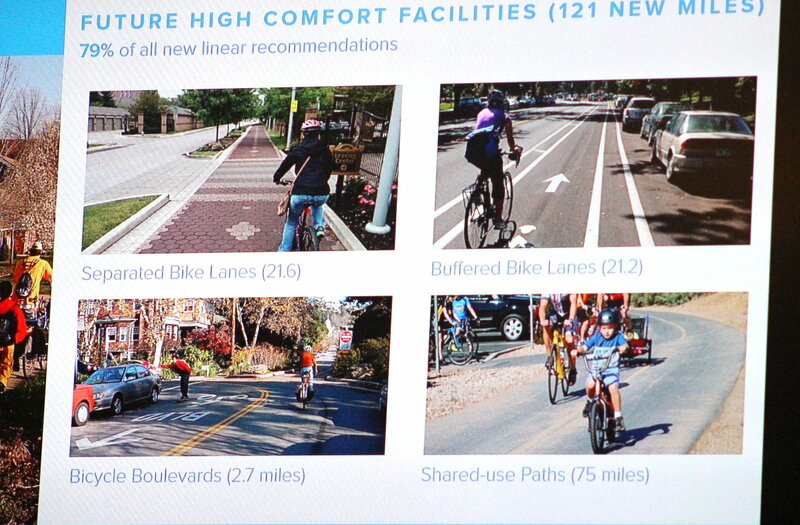 Some of these options were initially recommended for particular parts of the city, such as a buffered bike lane on Telegraph Street from the western end of the city to 500 East. While supportive of the plan overall, Councilman Troy Belliston wasn’t so sure about a bike lane on Telegraph Street. He also objected to it and three other recommendations marked as priorities in the plan as he worried they would lock the city into using a specific recommendation for a specific area, rather than having some flexibility. “Perhaps a bike lane isn’t the magic bullet (for Telegraph),” Millar said. Councilwoman Kolene Granger said there ia a matter of connectivity to consider as that is an overall goal of the plan. “When we do these projects, we need to connect points; not bits and pieces all over the city,” Public Works Director Mike Shaw said. The plan itself will be implemented in phases over the next 20 years, Shaw said, with no potential bike lane to be added to a side of Telegraph Street for another six or seven years. Ultimately, the council decided to change the wording in the plan and turned priority projects into something akin to examples of what might work in a particular area. The overall plan was unanimously approved by the City Council. After the vote was taken, Councilman Kurt Ivie said the active transportation plan is definitely needed due to the sedentary nature of modern society. “We have a society that needs to be active,” Ivie said. With the adoption of the plan, Washington City joins the Dixie Metropolitan Planning Organization (the county-level transportation planners) and the city of St. George in having plans promoting and catering to walking and cycling. Hurricane City is currently developing its own active transportation plan as well. A short video highlighting Washington City resident and barber Mike Jensen was shown during the council meeting. City Manager Roger Carter said it is the beginning of a series of short videos that will share the stories of noteworthy city residents that will be posted to the city’s social media sites. 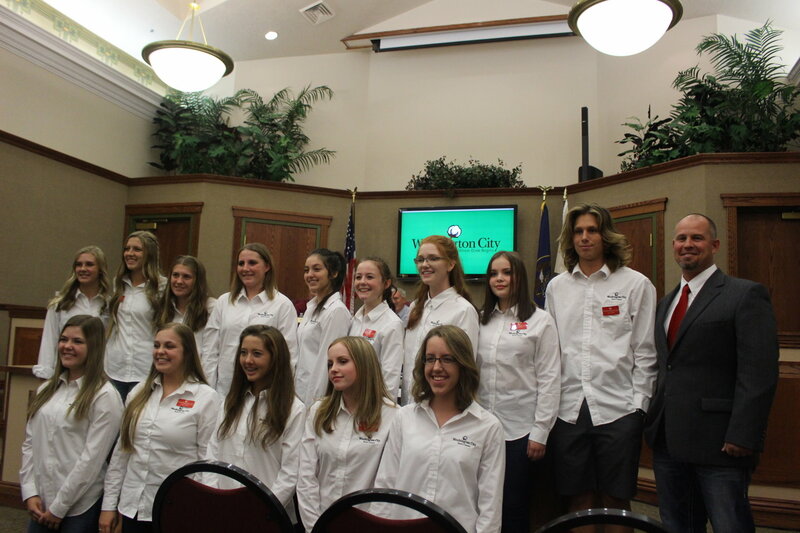 The 2017-18 Washington City Youth Council was sworn into office. This is the best and most positive news that has come from a council meeting that I can remember. the council has implemented a benefit for the existing tax payers and residents of Washington county. stupid proposed development that benefits short term rentals or some idiotic water park. only cater to people from out of town, that build these expensive new homes and do not live in them? How about making the bike rider obey the traffic laws? They would be more likely to be embraced by the cars if they obey the same laws. Traffic laws are abused by cyclist and car driver alike, your argument hold no water. You can’t force people to make good decisions but I do wish that more people, (cyclist and drivers both) were informed as to what those laws are. Here’s two quick ones folks don’t seem to know about; 1. it’s illegal to text and drive. 2. It’s legal for cyclists to ride 2 abreast in the middle of the traffic Lane. It sure would be nice if everybody followed the rules. Nice to see the forward planning in Washington City. Perhaps in 10 years it could be on par with St. George’s network of well connected trails. As a former Coral Canyon resident, I have to wonder what could be done to make Telegraph safer. Coral Canyons residents pay an increment (SID) on their property taxes to Washington City for services not provided by the county. If I still lived in Coral Canyon, I would be asking the City Council specifically what they are planning to do to better connect me to the rest of the city. Telegraph is an unsafe route for “active transportation” . Yeah, we’ll see….there is not enough room on Telegraph now for a dedicated bike lane, so I guess you will lose some of your “front yard space” to build new sidewalks and widen the roadways to put in said path, Heck, Coral Canyon community put in double wide sidwalks all through the community for Pedestrians and Bikes, but no Bikes ever use them, these people are always in the roadway, which again, is too narrow….are you that stupid Bikers? Why doesn’t Washington City have bus transportation?? ?